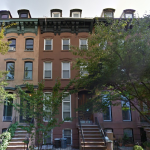 Recently it was reported that filmmaker, actor and Entourage star–and sometime boutique brewer and Brooklyn renovator Adrian Grenier had been spotted checking out a three-bedroom co-op in Chelsea, accompanied by his mom, Brown Harris Stevens broker Karesse Grenier. 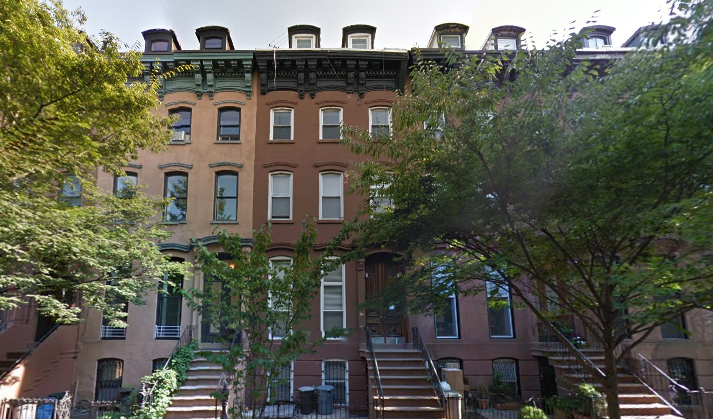 While Chelsea may be in their sights as well, city records show that the pair recently inked a deal on a huge, historic five-story townhouse in prime Clinton Hill at 112 Gates Avenue, not far from the house he brought back to life with a green reno in 2007. 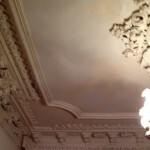 The parlor level ceiling boasts amazing original plaster ceiling detail. On a banner block for townhouse trades in the past couple of years–including the “killer flip” that kept blowing past expectations–records show that Grenier mere et fils bought the house for $2.085 million–not a bad deal in this market, as it’s a five-story, four-unit house, which could make a considerable investment as condos, rental apartments or even an enormous mega-mansion. 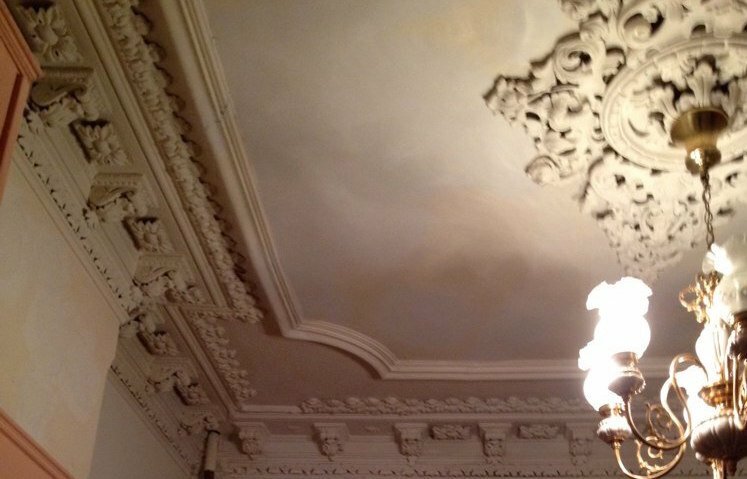 The house, a stately historic brownstone that sold quietly under the radar, was an estate sale that had been in the same family for decades and boasts a treasure trove of astoundingly ornate original details. 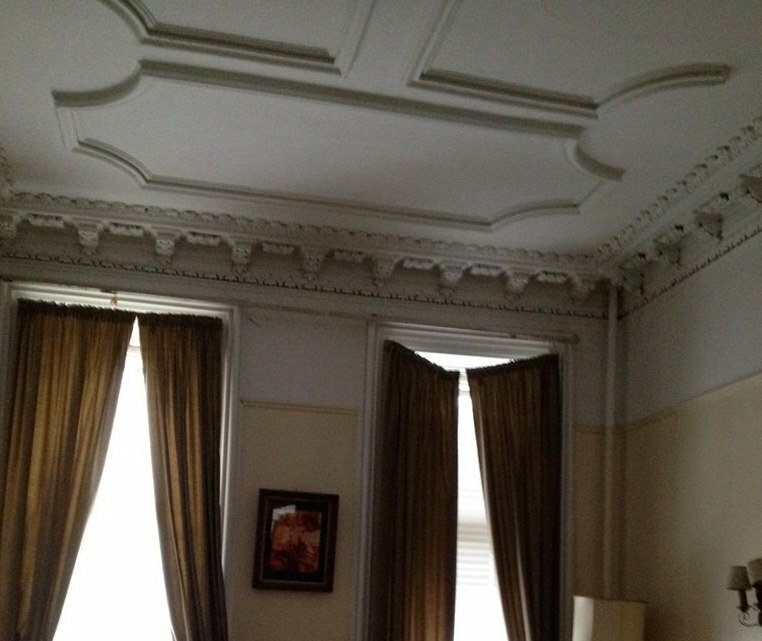 The parlor floor has retained some of the highest ceilings we’ve ever seen in a Brooklyn brownstone, and some of the most ornate plaster mouldings. The well-preserved wood floor on the same level is ballroom-worthy intricate parquet. 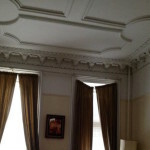 The next floor also has gorgeous plasterwork and high ceilings, and the rental apartments have been cozily renovated in recent years. 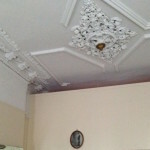 The house is a fixer-upper that needs a lot of work, but its sheer size and amazing bones could make it a crown jewel in an already sparkling block if it gets an overhaul. 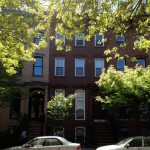 Of course we have no idea whether Adrian or Ms. Grenier plan to make this a home, an investment–we could see a condo conversion–or a flip but we plan to keep an eye on it. And we’re glad to see Adrian, whose latest project is a feature-length documentary called 52: The Search for the Loneliest Whale in the World still in the ‘hood. William McClellan of Sowers Real Estate was the listing broker on record. good for you, keep on buying.